NEW YORK, N.Y., Jan. 5 (SEND2PRESS NEWSWIRE) — People don’t remember numbers or excessive facts, but they do remember a good story. So it makes sense that if you’re telling and using stories in your job search and interviews, people are going to remember you too. Pioneered by Robert J. Gerberg, senior consultant at SET, a personal marketing firm working with executives, professionals and managers seeking $100,000 or more, the technique is something SET teaches clients to use. And according to Gerberg, job seekers who tell good stories get real results. “The idea is to create stories demonstrating the benefits you bring,” Gerberg said. Based on findings from more than 5,000 successful client job searches, Gerberg added simply listing skills and experience isn’t enough in today’s job market. “You must add interest beyond your credentials,” he said. 1. They are remembered. People forget the skills and strengths you mention just an hour after an interview ends, but days later, they still remember stories about how you used those strengths. 2. They give you a lot of credibility. Anyone can claim they have certain skills and strengths, but when you can back them up with stories of how you used them to contribute, your credibility increases tenfold. 3. You’re not “overselling.” To prepare hard-hitting stories, people need to be specific about the challenges they faced, the precise actions they took to get things done and the outcome. As a result, you are very accurate – neither overstating nor understating your role. 4. It creates a mental picture of how you will contribute. Employers get a firm grasp of the way you operate and how your approach would work for them. It’s easier for them to envision you addressing their problems and challenges in the same way you solved similar situations for past employers. 5. You reshape the job to fit you. When you come prepared with seven or eight stories, chances are one or more will be about a strength they haven’t specified for the job. You can bring up any of the skills or strengths they haven’t asked about, tell your story and persuade them to add it to their criteria. This stacks the odds in your favor because no other candidates will think to do it. 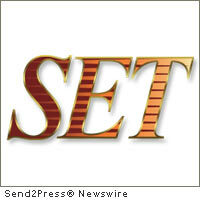 With more than 12 years industry experience, SET is the premier personal marketing (www.youtube.com/watch?v=2MP4mWyjoDE) firm for professionals and executives. Visit www.seniorexecutivecareerpartners.com for free videos on the job market; new resume styles producing real results; interviewing tips; and ways for accessing leads and contacts on the Internet. Original Keywords: SET Personal Marketing, employment, New York NetWire, news, VNR, video, Robert J. Gerberg, senior executive career partners, Bob Gerberg, Find a job, Change careers, job interview, how to interview, tough interview questions, get a job, unemployment Robert Gerberg New York City New York NEW YORK, N.Y.
REFERENCES: Business News, SET Personal Marketing, employment, New York NetWire, news, VNR, video, Robert J. Gerberg, senior executive career partners, Bob Gerberg, Find a job, Change careers, job interview, how to interview, tough interview questions, get a job, unemployment Robert Gerberg New York City New York NEW YORK, N.Y.